Prince: Please introduce yourself, and to the world, on who you are and what you do? Drew Dudley: Sure. 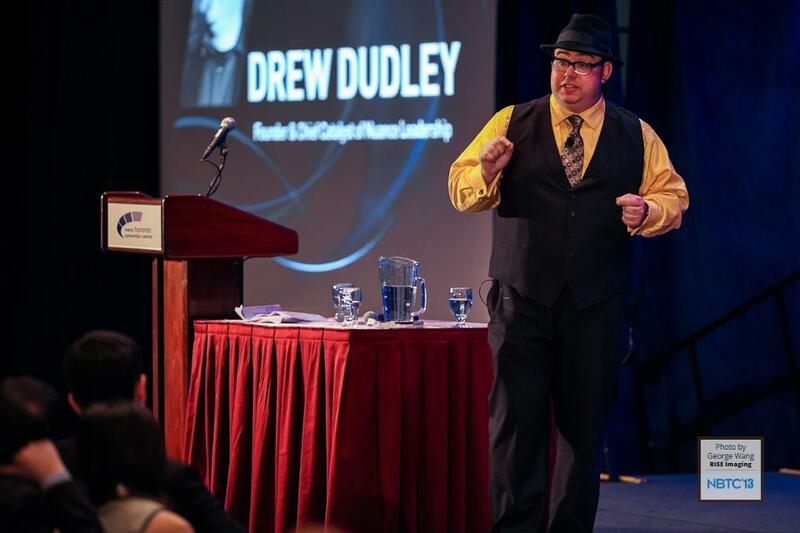 My name is Drew Dudley and I am base out of Toronto, Canada. 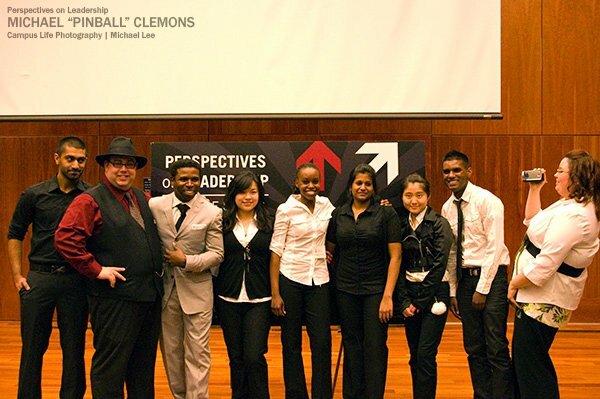 I used to run a leadership development program at the University of Toronto, and on the side I used to share ideas about the ways we think about leadership and how we can understand leadership–it turned out that I was really interested in that. So about three years ago, I left the university and started a company called “Nuance Leadership Development Services” where I go to companies and schools around the world to help people increase their leadership capacities. I went from being a teacher to a full-time leadership educator; and it really stirs up my passion. I am so lucky enough that I get to travel, 200 days of the year, around the world [which I got to meet 100 different clients within the last year (2012)] speaking on how we can create and explore cultures of leadership together within their organizations or their communities. Prince: Wow. That’s pretty amazing! So how or when did the idea of “Nuance Leadership” first evolve? 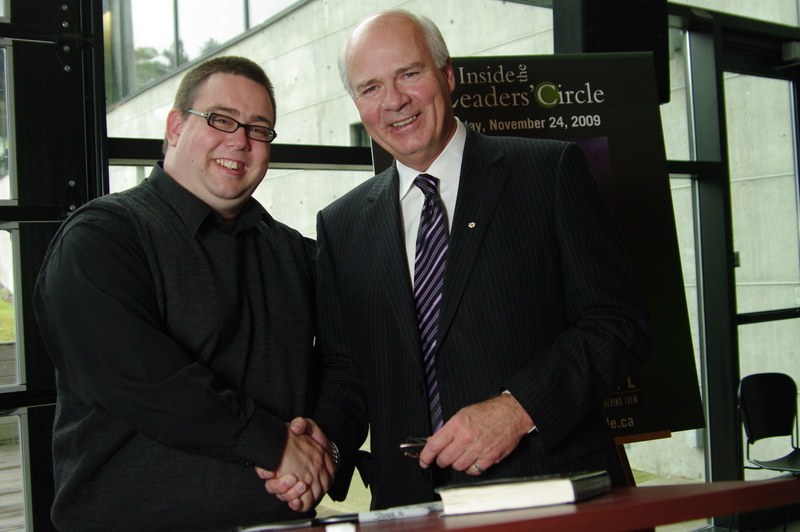 DD: In 2004, I was asked to give a presentation on leadership at my old university, which is on the East Coast of Canada, and the students have indicated that they wanted to hear my thoughts on leadership. I agreed to do it, but I remembered [when I got off the phone] that I had no clue about what I can say about “leadership” because I really didn’t feel that I deserve the title of “leader.” I have done a number of things on campus but I did not think that it would be seen as leadership. I remember that we started a scholarship project about a roommate who passed away, which we raised money for cancer research; and then another for a friend of ours who passed away. All of this then transcended to a couple of different major charity events at my university but again I really did not see this as an indicator of leadership; I saw this as working together with amazing people. And because I was struggling so much on this idea on giving an hour-long talk on leadership [which I was considered to be qualified as one] that I went to my friend for help. I told him “What do I do?” and he said this to me: “Why don’t you give a speech on how you are not a leader?—I am sure there are a lot people who feel the same way.” And so when I tried to create that speech–on “how I am not a leader”– questions began to flood my mind on “what was considered leadership?” My mind was so flooded that I began to manifest on the history and philosophy of leadership which in turn gave me the foundation and framework of what I do today–I started to take a real deep interest of what “leadership” was. Because I have done so many different types of workshops [staying away from hiring expensive professionals to do what I do] that I began to strike a chord with people; so, when they come to a workshop, simulation, or presentation they will have a transformative experience. Also, since I have been asked to do this at so many places, the only thing that prevented me was my full-time teaching job. So once I made this discovery, I knew then that I had to make a career change; because I loved what I was doing on the side so much more than teaching. Nuance is a company that provides keynote speeches, interventions, and workshops (90 minutes individual workshops to 3 day group retreats). We can have companies and schools develop programs that will turn into transformative experiences, which is our prime focus. Prince: Wow that’s an amazing story. Now lets talk about TED talks, which is how I came across your name in the first place. Please explain to me and my audience on how you got on TED talks? 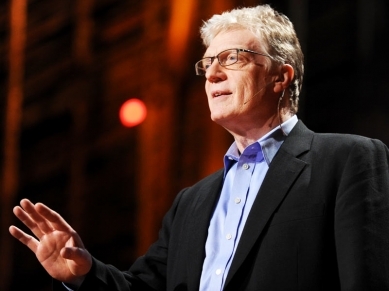 DD: I first fell in love with TED talks, when I first saw Ken Robinson’s talk on “Schools Kill Creativity.” It was then that I started to incorporate TED talks into my workshops at my old university. My students knew that TED talks meant the world to me, and that I would one day speak at one of their events; to share ideas. So when TEDx Toronto came around in 2010, announcing that they were looking for two at-large speakers, my students got very excited. They came up to me, begging me, that I should apply. However, my response was this: “I’m just a part-time speaker.” They really got upset when I said that. DD: They were so angry at me that because I have always taught my students to never say that you are “just anything.” When you say you are “just anything” you are giving permission for people to expect less from you. And so my students made it a priority that I follow my own advice; I eventually submitted a short video of myself to TED talks. My students then organized an online social media campaign to get as many people as possible to nominate me, and sure enough TED talks saw my video and contacted me to fill up their slots. 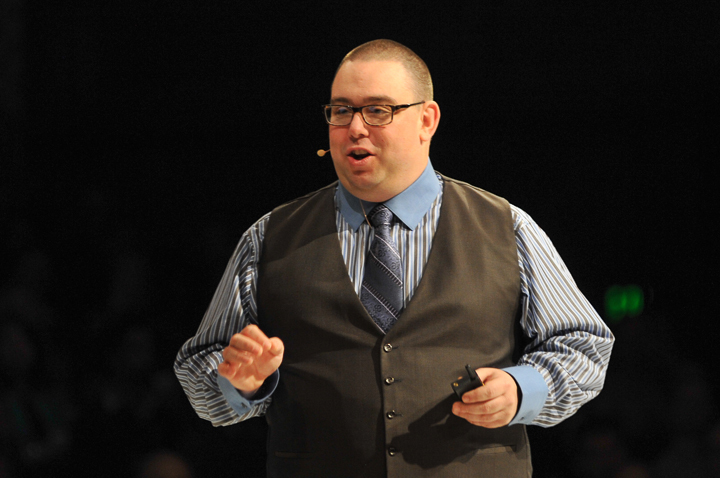 Once I spoke at the Toronto TEDx talk, it was really well received—it turns out that a speaking agent from the audience spotted me and signed me to their agency. This then helped me to expose my corporate business and to travel a lot more. Then last February (2013), TED.com called me and said that there were 1 million views on my TED talk video, and that they were going to put it up on their main site—this then exploited me even more significantly. So it was my students who pushed me to do something that I was afraid to do [because I thought I would get rejected] made me the success that I am today. 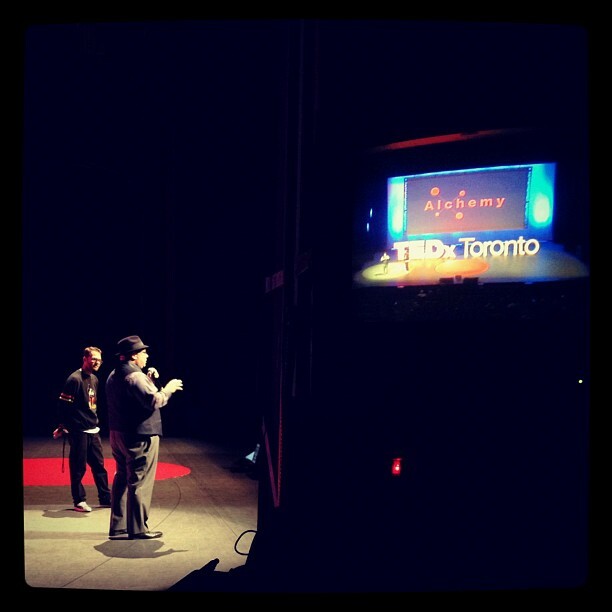 My career was going well before TEDx Toronto, but once I did it, I skyrocketed. 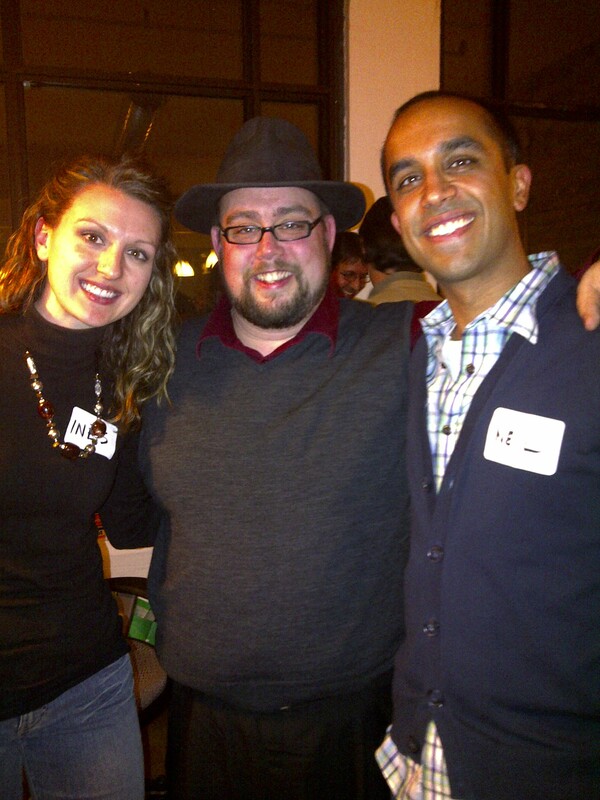 When I recorded that first TEDx Toronto talk video, I was just starting my company. Prince: (Laughing) I am so amazed how one little push, can skyrocket you to fame especially when you least expected it. 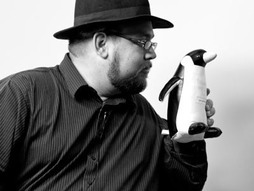 Now tell us more about your workshops? Especially those who are really curious on what you do with your clients? DD: Well it can be anything. For me, the way I define leadership is striving to act in a way that makes people more likely to have positive impacts on their own lives, than the lives of others. So when I think of people who aspire to be better, they inspire others to do the same. Anything which people become better equipped to add values from others, I consider that leadership. So we will do everything from communication styles [understanding your own personal style] to how you interact with others in a way that adds the most value in your interactions. We do conflict resolution and a number of simulations that deals with team building, team work, and team dynamics. Basically our goal is for our clients to have transformative experiences. So we will create highly immersive workshops–from 90 minutes to a full day or multiple days—that works on communication styles, team building, conflict resolutions or anything that we feel will make someone or a group of people more effective at adding value to their own lives or the lives of others. I am not the only one at this company who does this—I was able to network with a wide range of leadership development professionals who could focus on these various types of topics that I had difficulties in. The great thing is we can provide workshops to clients that need help in preparing a speech, for an audience of 100 people, in two days. And so we can put together an immersive two day workshop that will not only help their presentation but give them a transformative experience. Prince: What legacy do you ‘hope’ to leave behind for Nuance Leadership in 10 years? DD: I think one of things that I really love is when people mention the company’s name or my name, especially in a room that they were not in. I like it when people smile. I think that is the real mark of how you’ve done your job, and how you’ve interact with other people. When your name is spoken, whether it be your company or your name as an individual, in a room that you were not in, is the legacy that I want to leave behind. 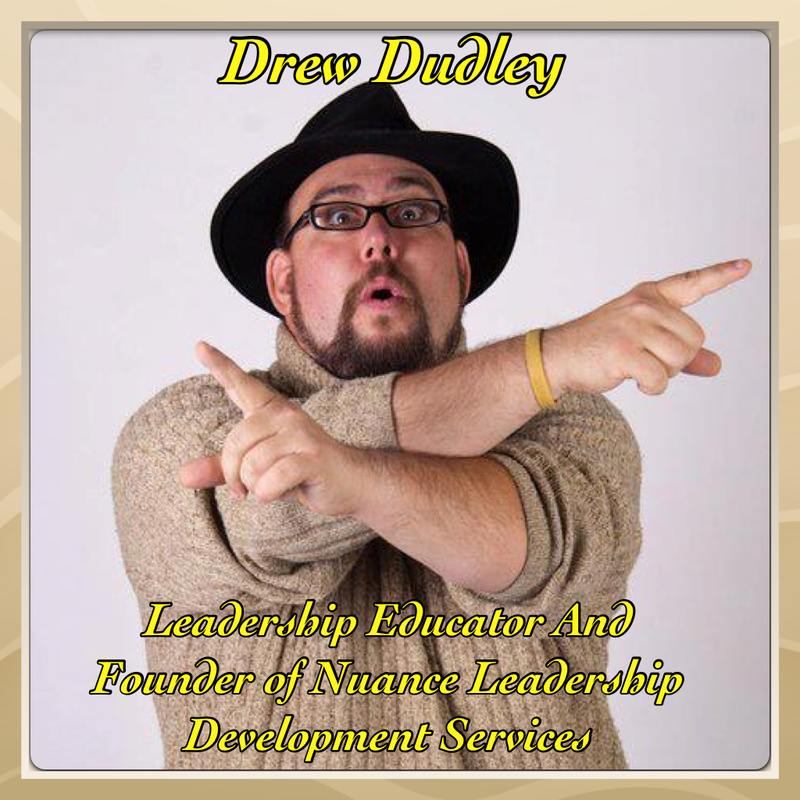 In ten years from now, when someone says “Nuance Leadership with Drew Dudley” I want the people that we have worked with to smile from the memories that we have provided them with. Beyond that I don’t really put a lot of energy into thinking “where is everything going to be in 10 years?”–I actually don’t create 5 year plans or 10 year plans. I think the goal is to always create 5 year momentum because sometimes plans can be restrictive—you don’t start to seize opportunities because they don’t fit the plan. And I think that if we did focus on “ok here is my plan” we tend to stay in one place or not get embarrass because of the restrictiveness of that plan. What I have discovered is that very rarely the things in my life, that do occur five years later at any given point of my life, were not the ones that I have imagined five years earlier—and usually they are better. I think life often provides us with opportunities that are better than the ones that we can come up with. I am not saying that we should sit back, relax and let life do what it will, but I really think that by focusing or identifying what your values are on a daily basis, you can create flexible plans. So, when opportunities do come into your life you can seize them and create forward momentum. Instead of looking at a five year plan and only pay attention to the opportunities that appear to take you in one direction, identify what your values are and keep yourself flexible so that you can seize opportunities from the momentum that you create. Prince: That’s very deep; thank you for sharing. Now tell me an embarrassing story, where you yourself felt like that little girl (from your TED talk video), who was embarrassed by you, when you forced her husband-to-be to give up his lollipop to her? DD: You know I had girl walk up to me, at the end of one of my first ever workshops, and said, “I don’t understand?”—a response that every educator wants to hear (Laughing). I said to her, “what don’t you understand?” and she said that she doesn’t understand leadership anymore from workshops. DD: It was truly an embarrassing moment, and eye opening moment, when I realized that I did not have an answer for her. When I opened my mouth to respond, “What was leadership in simple English?,” nothing came out. I will do speeches on leadership, and workshops on leadership, but this very basic idea of “What leadership means to me?” I did not have an answer for it. I just try to assume that I knew what it meant, but really I could not articulate it. That made me sad and embarrassed. Not so much in front of her, because I could redirect the question to my other students and begin a healthy debate, but for myself because I did not have an answer for her. So I went home that day and I began to reassess of what leadership meant. So I said this, “Leadership is a value that I want to embody every day in my life.” In doing so I listed all these values that I want to embody every day: Integrity, Respect, Transparency, Loyalty, and Accountability. And not only did I list them but I went through each one of them and define them so that if somebody where to come up to me and say, “What is Integrity, Loyalty, or Friendship, etc. in simple English?,” I can give them great definitions for each in less than 5-10 min. And that’s how I challenge my students. Think about your values so that if somebody were to follow you for two weeks, and ask “what are your values” you will be able to define them each—more importantly what they mean to you. If we don’t define the things that we want to define in our lives, then we will always feel that we are less than we are. For example, you can embody Respect in your life, but if you can never define “What Respect is?” or “What it means?” then you will never be credited as someone who embodies Respect. So I was really embarrassed that I couldn’t define one of my fundamental values. But like so many other embarrassing moments or tough moments in my life, it turned out to be a really valuable lesson, which then makes you a smarter person. Prince: Wow that was very inspiring! I am surprised that you turned an embarrassing moment into a positive life lesson. Prince: Right. So now tell me and my audience of your future plans. 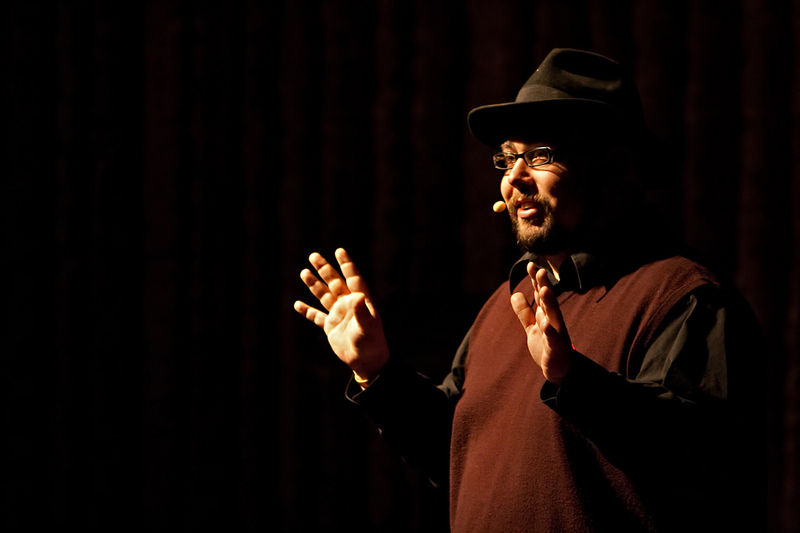 And when is the next future TED talk that we should be aware of? DD: Well, as I said before, I keep my plans very short term. I have 16 values for myself and I create a plan every day to live those 16 values. 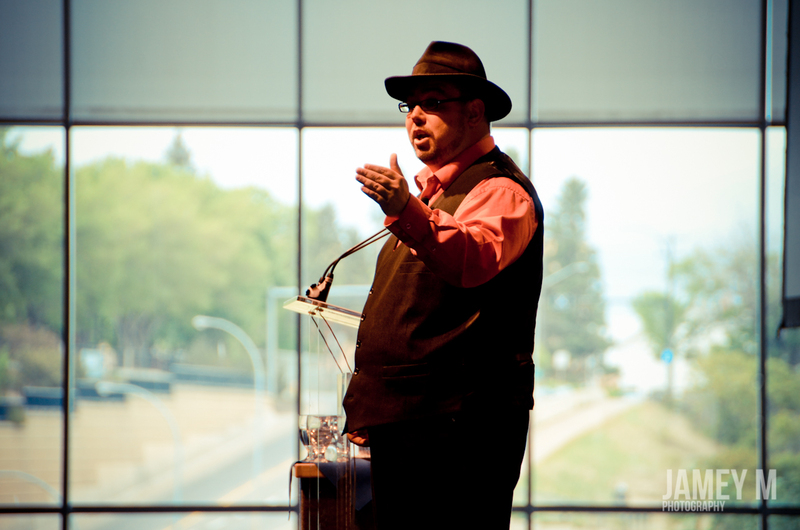 In terms of work, I am planning to do a number of touring and speaking this fall from August to November all over North America. 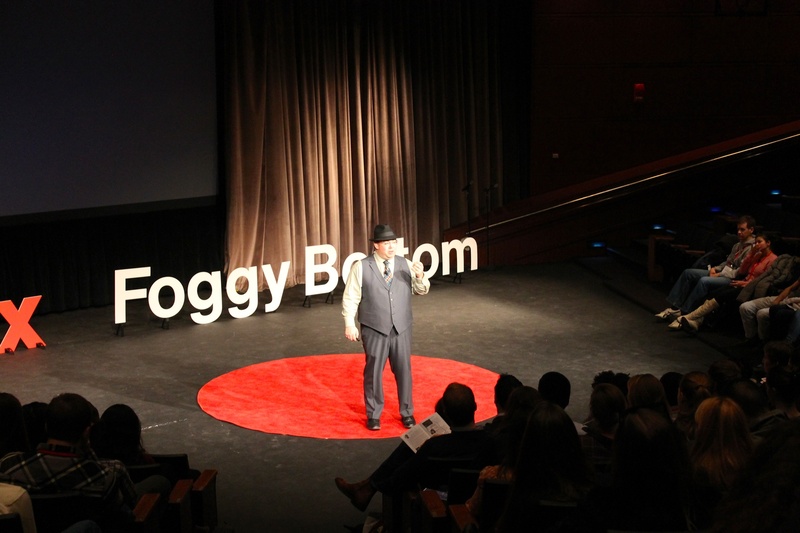 I recently did a TED talk in Washington, DC at Foggy Bottom (George Washington University) called “The Power of Disconnection” and I have a couple more TED talks overseas in the next year—I will be traveling to Hong Kong, Cape Town (South Africa) and one in the United States. So I try to do a couple of international tours every year; and I usually try to use TEDx events as a way to make these events. So again I’m touring everywhere this fall—all over California, Michigan, New York, Washington, D.C –and it should be fun. When you can tell stories about “What makes people afraid?” or things that make them angry, and teach them how you can alleviate fear or dissipate anger, then you really have engaged them. We always pay attention to the things that makes us angry or scared than we do with anything else in our lives. And so what I try to do, to be interesting, is to think about the following: “What are the universal fears?”; “What are the universal causes of anger?”; “What are some of the ways that I tried to remove those from my life?” (successfully or unsuccessfully); and, “What story can I tell about that?” What I have learned is that this line of thinking generally seems to work; but the problem is that too many people are unwilling or unable to tell their own stories. So again story telling is the basic unit to human understanding; so, be sure that you know what your story is about. Make sure you figured out, “What the lessons that you’ve learned from that story are?”, and eventually be willing to share it because we will never understand ourselves, and we will never understand each other if we do not share our stories. Prince: Wow that is a great ending to my interview. Thank you Drew so much and we look forward to hear from your TED talks soon. DD: Not a problem; thank you.